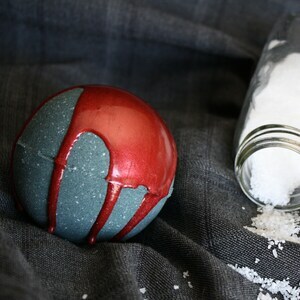 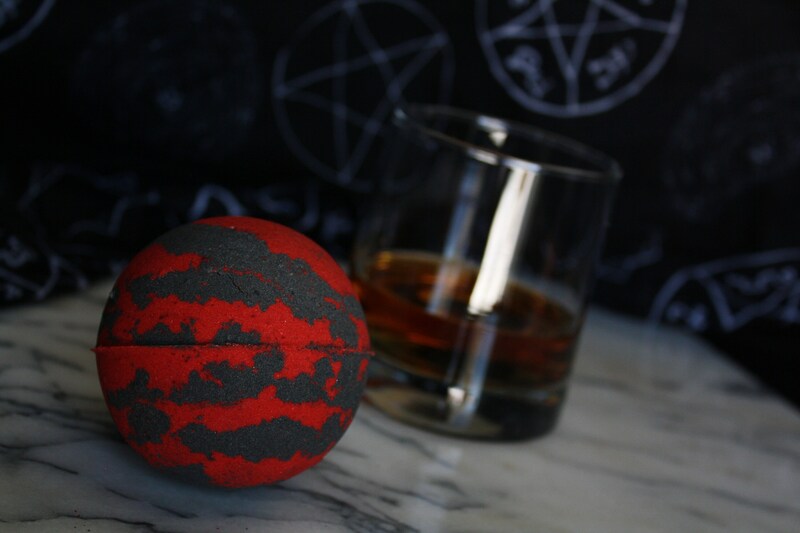 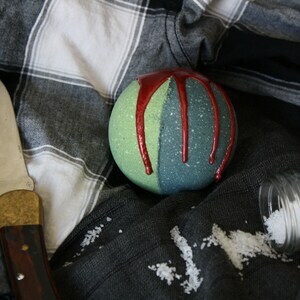 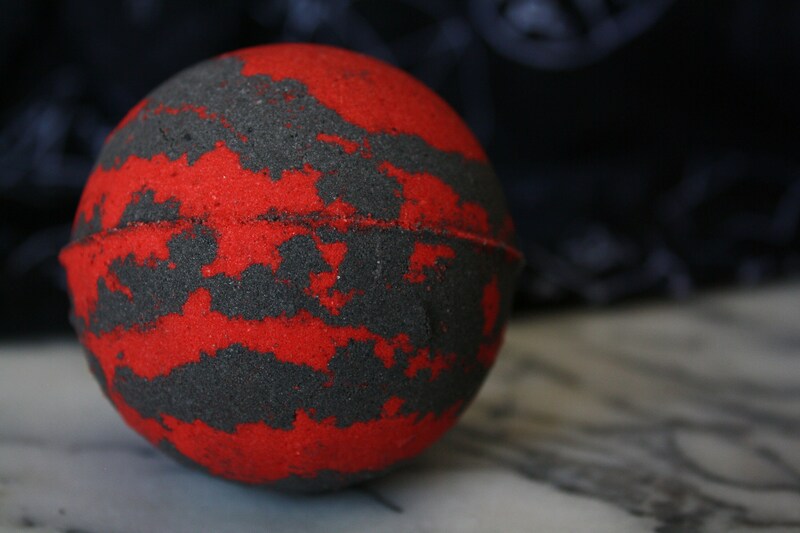 You won't have to make a deal with any Crossroads Demons to enjoy a bath with this Supernatural bath bomb inspired by Crowley. 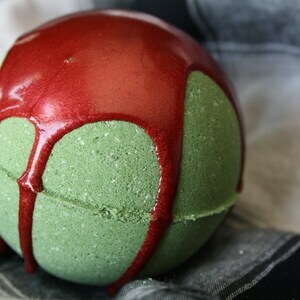 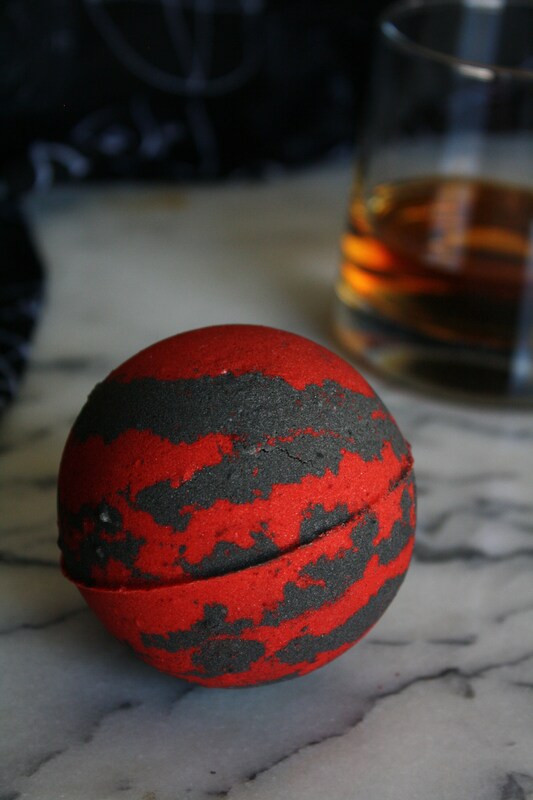 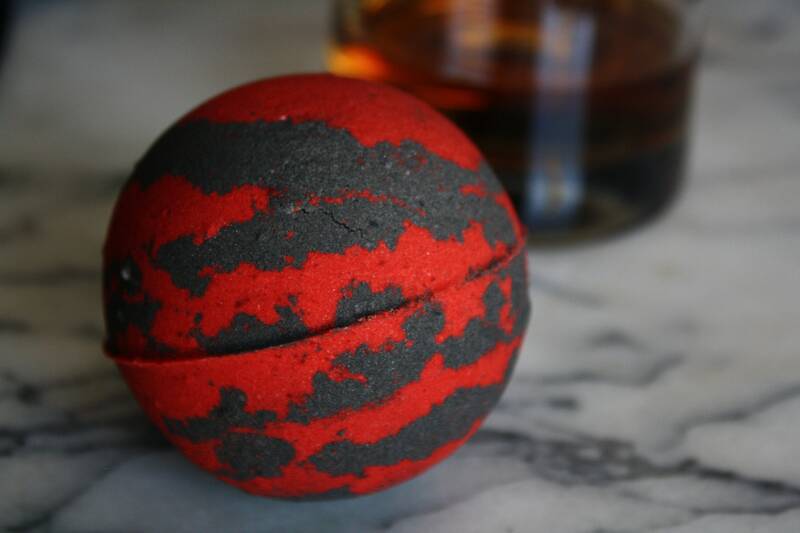 This black and red swirled bath bomb creates a wonderful red wine colored bath bomb, perfect for the King of Hell himself. 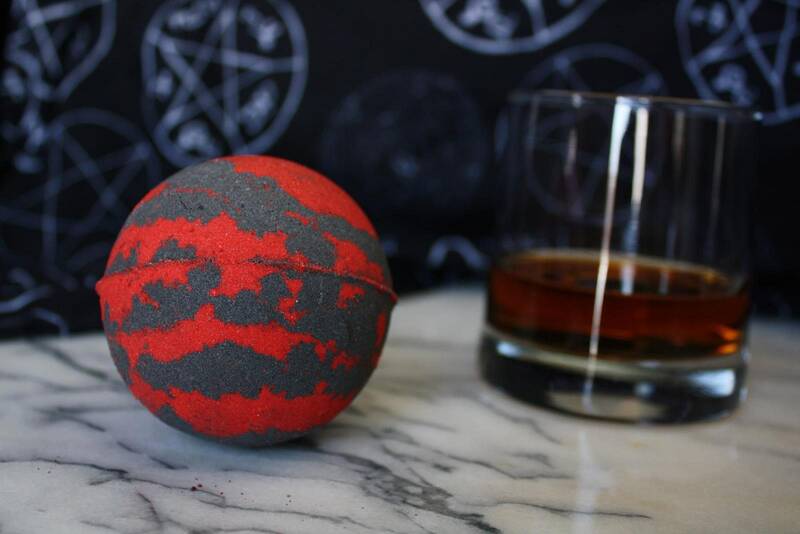 It will fill your tub with a musky autumn cranberry scent, what we imagine Crowley's cologne must smell like. 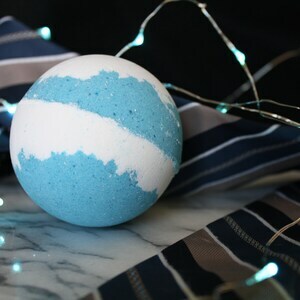 This listing is for a single bath bomb that has a diameter of approximately 2.75".